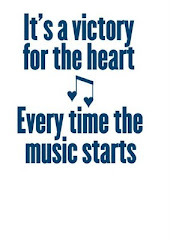 Marilyn's Music: Song Circles.... Start your own!!! Song Circles.... Start your own!!! I have also had people write to me from other places asking if I would come and start something like the Song Circle at REV where they live, so that they can have the FUN of making music with other folks. If you can't FIND a place to go to make music with other people, than DEVELOP a place to go and make music with other people. Here is my story, and suggestions to YOU for starting up a place where you can meet other musicians, learn skills that you will not learn alone, and JAM. I believe very strongly that music is for sharing, both with an audience as well as other musicians, but I also know there are a LOT of folks out there wishing to find people to play with...... as a matter of fact, I said the same thing a few years ago, and went looking to try and find musician friends. People told me about the Spencertown Acoustic Jam, and I started to attend monthly. I really wasn't ready at that time for the level of playing that happened there and felt out of place and embarrassed over my lack of skill related to the other attendees. However, the folks were welcoming and encouraging and I have to say, I always had a great time!! That jam continues, although it was moved to a new location and I haven't been there in a couple years..... BUT-- I based the Song Circle at REV on what I learned there. The Song Circle at REV was originally an unamplified Open Mic on Mondays, run by some really cool young people. In time, though, the number of attendees dwindled and it looked like the thing was going to die. I offered to take it over if I could run it my way (I admit it....I AM a control freak), changed the day to Thursday (a day I thought most people would more likely come out, but not have a gig) and the format to the Song Circle, or hootenanny. At the song circle we take turns. I have people sign in on a board..... I can't remember names well and this way I get to learn names quickly and I won't pass over a quiet shy person inadvertently. When it is your turn, you can play a song (and it is ok to request that everyone just listen and not play along), request a song from someone else (often to learn a song they do well, for example) or PASS. We go around until time is up! Benefits of a song circle over an open mic include turn-taking that is ONE song at a time. At an open mic, there are many people who only come for their own performance, arriving late and leaving as soon as they are done (allowing some time to schmooze, of course, to get a gig from the owner of the venue). At a song circle you will rarely come across a person who only pays attention when it is their turn to play. Overall, at song circles, the concept of going around the circle and taking turns encourages folks to participate in collaboration, in listening to each other, and in conversation about the song presented. 'What chord was that in the chorus? ', 'Did you write that? COOL! ', and 'That song Fred did reminded me of this song' are the sort of conversations that start and are the basis of friendships and musical collaborations that continue beyond song circle nights. As a matter of fact, one of the difficulties in leading the circle is allowing enough conversation without interfering with the reason people are there....to make music!!! I try to make sure that everyone gets at least three songs in regardless of the number of people there. People learn to listen and contribute rather than overpower each other.... It quickly becomes apparent to most folks that less is more and supporting the leader of the particular tune is much more satisfying than running over him. I have only rarely had to address 'loudness' or 'rudeness' issues (always in private). My experience is that if people are not in tune with the concept of the collaborative song circle, they generally just stop coming. I feel bad for them, and hope that they learn to lose the ego and/or the insecurity that prevents them from just enjoying contributing to the community rather than needing to be the 'Star'. Another little detail is that I include a time towards the end of every evening for 'Announcements', and encourage people to promote their gigs and support each other when schedules allow. We are building a Musical Community, and support is important!!! As people get to know each other, conversations get a little more meaningful and it is common now to hear folks giving constructive comments on technique, songwriting, theory, rhythm, etc in a friendly, helpful manner. The evening is FUN, you make FRIENDS and FANS and it is EDUCATIONAL to boot!!! If you want to start something similar, you would need a public place willing to host the evening, a good day for your community and some promotion or friends to help you get the idea off the ground. Coffeehouses are good places because people who are drinking alcohol are often not really interested in paying attention and there are far more distractions, but your community may have a watering hole that is conducive to the format. I have seen song circles on stages, in public places such as libraries and town rec centers, in non-profit art type buildings, at guitar repair shops and music stores, etc. If the place you are approaching is a business, point out that you will be bringing in paying customers (and if too many of the attendees are not buying, remember to advertise the great products of the generous host to the attendees!!) The place you choose should be comfortable, have adequate space for people, equipment and audience and be convenient to get to! Get out there and start looking, talk to people, and you will find a place. There in lies the rub, really. Is it a circle if no one comes? I was lucky to take over an apparently dying open mic, so there were people who knew about musical activity in the venue, and I was able to approach people I had met there to get the idea started. If you know NO ONE, it will be difficult. However, if you have just a friend or two who promise to show up, particularly if you have chosen a venue with people naturally coming and going throughout your time there, with patience you will grow. Remember that every person who walks in through the door will talk to other people about the evening, both musicians and audience, and try hard to make it interesting, fun, welcoming to every single attendee. YOU will set the mood of the evening and people will return if they get what they came for. HAVE FUN, it is contagious!!! !